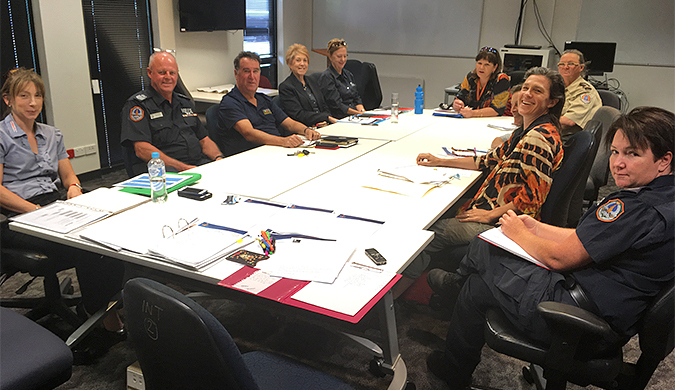 The Tennant Creek Community Safety Committee meets on a monthly basis to ensure a more coordinated and collaborative approach to safety issues in the community. Chaired by the Officer in Charge of the Tennant Creek Police Station with secretariat support provided by the Department of the Chief Minister, the committee developed a Community Safety Action Plan which has now been in place for two years. The plan ensures a coordinated and collaborative approach towards early intervention and prevention of crime and anti-social behaviour. It will shortly be reviewed by the committee to ensure it is meeting current community needs and expectations for the future. The committee has a strong focus on youth in Barkly and works closely with the Youth Leadership Group which was formed as a recommendation from committee members. The Tennant Creek Community Safety Committee meets on a monthly basis.